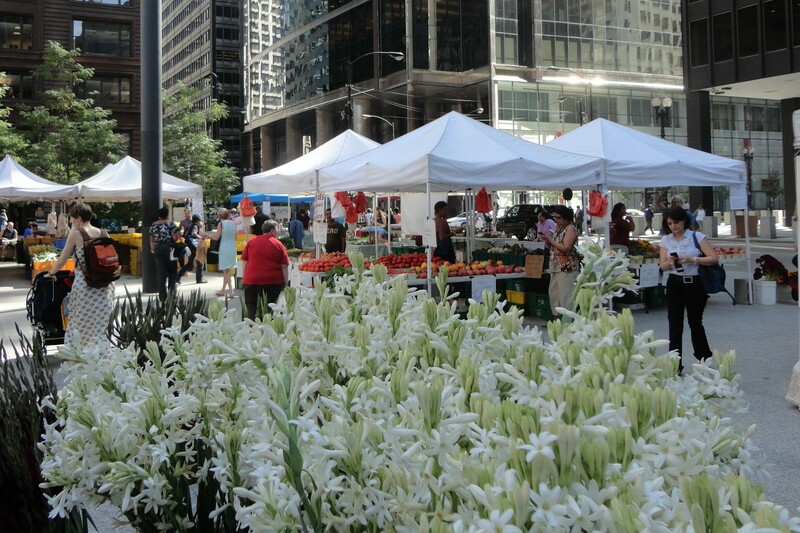 Downtown Chicago has many sites to offer, this farmer’s market added a bit of unexpected rural flavor in the heart of the city. This market was at Federal Plazalocated at the corner of Adams & Dearborn. The Market is open every Tuesday until the end of October. The Windy City offers culture, architecture, the Chicago River, plays, restaurants and fresh eating to boot! While you won’t drive your pick up truck and park at the street corner you could load up your basket with fresh offerings and have a picnic in a green space and enjoy the last hustle and bustle of summer before the wind howls around city corners and the snow flies!